preservation of African American family history for Lansing area residents and other interested persons. Check out this page to see some interesting community highlights from Lansing's past! 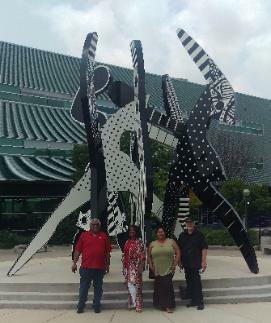 The next meeting for LAAAGS will be Saturday, May 18, 2019, 10:00 a.m.
We will meet at the State Library and Museum, 702 W. Kalamazoo St., Lake Erie Room, Lansing, MI 48933. President Gary Wilkes will do a presentation on the Underground Railroad in Michigan. The dues for LAAAGS have changed! Africa, through the Middle Passage to the U.S. and Caribbean Islands.